Thaweesak Trongtirakul received his Bachelor of Electrical Engineering degree from Rajamangala University of Technology Phra Nakhon (RMUTP) in 2005. His senior project under Prof. Nattapong Phanthuna was the development of industrial boiler for increasing combustion system using wireless sensors on mesh networking. His project was awarded a prize from The Science Society of Thailand Under the Patronage of His Majesty the King (SCISOC). After his graduation, he worked with his supervisor, Prof. Fusak Cheevasuvit and received his Master of Instrumentation Engineering degree from King Mongkutâ€™s Institute of Ladkrabang (KMITL) in 2011. Currently, he is studying Doctoral of Electronics and Telecommunication Engineering at King Mongkutâ€™s University of Technology Thonburi with the scholarship under National Science and Technology Development Agency (NSTDA). His research is about image enhancement for saving energy consumption. With his advisor recommendations, Prof. Weapon Chiracharit, he joined College of Staten Island (CSI), City University of New York (CUNY). 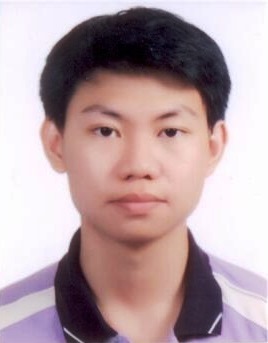 He has been working as a visitor-student with Prof. Sos Agaian and Prof. Shuqun Zhang since September 2nd, 2017.